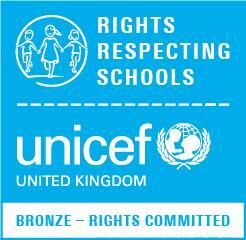 In July 2018 we achieved Bronze for the Unicef Right Respecting Schools award. Since then, we have been very busy on our journey towards Silver. Unicef will be coming into Clyst Vale in July 2019 to see if we have managed to take the steps towards being awarded Silver. We are confident that we will have done this. 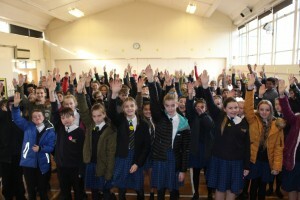 A Rights Respecting School put the United Nations Convention of the Rights of the Child (https://www.unicef.org.uk/what-we-do/un-convention-child-rights/) at the heart of everything we do. This means that we ensure that pupils at Clyst Vale know their rights and as adults, we make decisions with the best interest of the child in the forefront of our minds. We teach students about the importance of becoming Global citizens and ensure that they learn about world events. Moreover, we take time to teach students about developing their full potential and ensure that they learn about people who don’t have access to their rights. We have always been an inclusive and caring school but this award has helped to frame a lot of the great work that already goes on at Clyst Vale. What rights are the students focusing on? There are 54 rights in the convention so we can’t study them all. This year we have picked 6 rights to focus on, one for each half term. What changes have we made at school since becoming a Rights Respecting School? We have made a number of changes to the school since becoming a RRS. We have extended tutor time to ensure that we know our students more and are able to deliver a fuller tutor programme. We have introduced thoughts of the fortnight that coincide with our RRS ethos. We have a dedicated Friday programme where we learn all about being a RRS in tutor time. We have planned and delivered special assemblies regarding RRS issues. We have improved our use of praise and introduced a badge system. We are currently working on more behind the scene to improve this for the 2019 academic year. We are changing report cards to work more consistently with the ethos of being a RRS. 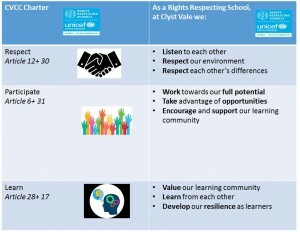 We are currently working on a school charter that helps to develop a clear ethos for Clyst Vale. We have many brilliant displays across the school to show off the work of our students and to encourage them to think about being part of a RRS. We have started a steering group to canvas student voice about our RRS journey. We have reintroduced the College Council. We have canvased student voice on a number of issues concerning the running of the school and will continue to do so. We are committed to this journey at CVCC and we hope you see the benefit of being part of it. If you have any further questions, please don’t hesitate to contact Miss Watt who is coordinating the process.